IED hunters….who are they?… and can they be replicated? The Army and The Marines have found out a little secret…..they have among their ranks male and female solders that have a very good ability in finding IED’s (mines or roadside bombs) in combat area’s….. The military becoming aware of the fact did a study on the phonomenone…The three-year study, done by the Army Research Institute, the Air Force Research Lab, and the Army Research Lab, is finished. But the results are on close hold. While they don’t want the bad guys knowing the results and the media publishing them…information from the study could be sent out to the troops in war zones and used by local law enforcement in the states and agencies like the Secret Service and State Department protective people in doing their jobs….. If the skills are teachable…. 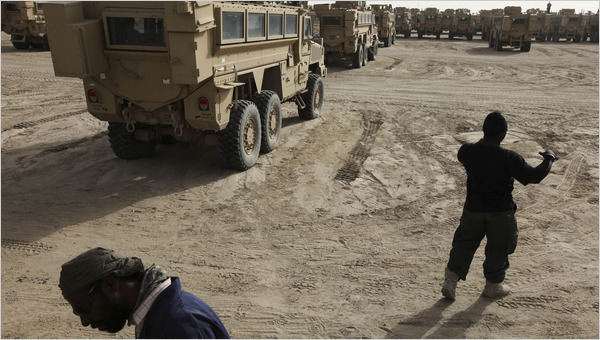 it could be a major breakthrough in cutting casualties ( IED casualties since 2001 2,451 dead, 23,650 wounded, in Iraq and Afghanistan as of Dec. 5) resulting from the IED’s….. It seems that works in Afghanistan…since the Afghan government increased the pay to almost match the Taliban …..Sign ups have increased dramatically…. The Army is getting screwed…..
First they took away the C-27J…the Army attempt to take the load off its heavy lift Chinook Helicopters…..and gave the program to the Air Force…who will, I’m sure deep-six it, for some fast movers (fighters)…..
Now There is a problem with the E-8, J oint Stars battle surveillance aircraft…The converted B-707 can paint an area, and let field commanders see what going on in greater detail than the ‘eyes in the sky ‘ satellites or unmanned Predators or Global Hawks….. But now the Air Force has forgotten to put the money in for the Joint-Star’s aircraft to have engine upgrades, therefore cutting down on time the five or six aircraft fleet can operate…. It is time for Congress to send the Army to the Marine school of ‘taking care of your own’, and give them back the C-27J short-haul mission, and let them get their own intel aircraft like the G-550 housed EL/M-2075 that the Israeli’s, Indian and Chilians have or the British ASTOR’s…both aircraft are proven…off the shelf, originate in the United States, and should be used solely by the Army for its troops…. Next thing you know the Air Force will want to glam the Army’s Emars aircraft too! And the soldiers and the commanders in the field get screwed….. The US increases its presence in Columbia……. The United States Air Force was kicked out of Ecuador recently……The US has therefore scrambled to increased its presence in Columbia, from at least one base, to several…….including three air force bases, and additional two army, and naval bases, each……..it should be noted that the US provides $5 Billion in foreign aid to the country every year……to say the least…..the increased US military numbers does not sit well with a lot of South American countries…..who have several leftist leaders and bad memories of US military visits to the continent……..
Sen. Feingold is staking out the opposite position upfront. Namely: that more troops will just push the Taliban into Pakistan….. He makes a good point… But what do we do?……If you don’t keep pushing…… you lose the current gains on the ground, since the Taliban WILL regroup and come back stronger………my feeling is that the US wants to push the Taliban back to India, where there is a stronger army, that will present a wall to the fundamentalist’s……….